Support your favorite local charity and experience a unique and uplifting show at AMT this Summer! 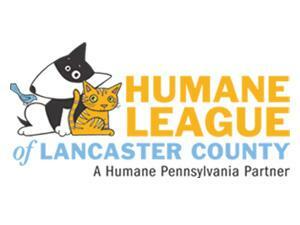 Come out to catch INSPIRE at AMT on May 30 at 7:30pm and we will donate $5 from each ticket sold to that performance to the Humane League of Lancaster County! AMT is partnering with six local organizations to help further their individual missions, and encourages guests to support their favorite organizations by purchasing tickets to Inspire on one or more of the selected performance dates. Inspire celebrates the moving power of music through the universal themes of Hope, Courage, Faith, Love, Freedom, and Joy. Energetic dancing, stunning costumes, magnificent singing, vibrant colors, flawless renditions of your favorite hit songs performed by a live cast and band, and immersive video segments intertwine to create a show that is as beautiful to the eye as it is to the ear. Experience heart-warming music that inspires the imagination and stirs the soul, as American Music Theatre presents the songs and voices with the power to uplift, enchant, and inspire. AMT corporate partner, Miller’s Smorgasbord Restaurant, will be offering light refreshments to ticket holders prior to this evening’s performance.